Home blatter england fifa football qatar russia south africa world cup World Cup 2018 and 2022: Reasonable or Ridiculous? World Cup 2018 and 2022: Reasonable or Ridiculous? So FIFA’s executive committee have made their long-awaited decision on the hosts of the 2018 and 2022 World Cups. Russia needing only two rounds to beat off competition from England, Spain/Portugal and Netherlands/Belgium to host it in 2018, whilst Qatar were the unexpected choice in 2022, beating off the USA, Australia, Japan and South Korea. Whilst I am very disappointed that England were unsuccessful, I can see the argument for the decision to award the 2018 World Cup to Russia. However, the decision to take the 2022 World Cup to Qatar is simply ridiculous in my opinion. Indeed, the decision raises questions on quite how FIFA see their role in the world. They are supposed to be concerning with promoting football and looking after the state of football. Instead, they seem to have an over-inflated opinion of their own power and regard themselves as single-handedly capable of solving all the world’s socio-economic problems simply by giving them the World Cup to host. Russia has been the favourites to win the 2018 vote almost since the prospective hosts were announced. It has never hosted a World Cup before, which automatically makes it an appealing prospect to the people at FIFA, who love their idea of creating a legacy by bringing football to new countries. It also has the full-backing of the powerful Russian government, despite Putin’s decision not to attend the ceremony in Zurich. Combined with the almost bottomless pit of money that they could throw at the event, it was a very strong bid. Clearly though, it does have its weaknesses. Security always has been, and remains, a major concern in Russia. Murders and kidnappings are commonplace in Russian cities and crime is something that must be addressed ahead of the World Cup. However, similar concerns were raised over South Africa, and the concerns turned out to have no real foundation – virtually no problems with crime affected the fans that travelled out there. The other major concern is the distance between stadia, transport between them and issues with time-zones. Russia is a vast country, and despite the fact that matches will be restricted to the European part of the country, transport between cities will still be difficult. Given the state airline has one of the worst safety records of any airline, there are potential concerns here. Finally, the issue of corruption looms large over this decision. The recent WikiLeaks revelations suggest that Russia is virtually a ‘mafia state’, where politicians and the secret service have close links with organised crime. Given the recent allegations against FIFA, one might suggest that the two corrupt entities are a perfect match for each other. The failure of the English bid is another curious case. According to FIFA’s own delegation, the English bid was rated as the best financially, the best technically and the safest of all the bids, both for 2018 and for 2022. It was the only bid expected to turn a profit. Yet, England gained only two votes out of the 22 possible and was eliminated in the first round. So, according to the delegations, England had the best bid, yet for the self-obsessed executive committee, only two of them, one of which was Geoff Thompson, the former chairman of the FA, felt that England deserved the award. It will raise questions as to how damaging the Sunday Times and Panorama revelations were, but it raises more questions as to how exactly the executive committee make their decisions and what they really want from a bid. If the 2018 decision was understandable, the award of the 2022 World Cup to Qatar can only suggest that the executive committee, with an average age of over 63, has collectively turned senile. As with the 2018 decision, it raises real questions as to whether the executive committee pay any attention whatsoever to what the actual bid includes and what their own delegations actually think about the bids. Qatar was described by the technical delegation as a high risk option, with more potential negative points than any other bid for either of the two tournaments. Let us look through a few of the potential problems. The first issue flagged up was that the country is simply too small. In area, Qatar is smaller than the Falkland Islands and is predominantly desert with a short coastline. It has a population of only 1.7m people. Whilst there is nothing eminently wrong with being a small country, it begs questions of how it intends to cope with the influx of visitors that the World Cup would bring. In 2010, South Africa welcomed over one million visitors to the country for the World Cup, with many surrounding countries experiencing a dramatic increase during this period as well. Germany saw over two million visitors arrive for the World Cup. How can any country cope with almost doubling its population for a month? They currently welcome 400,000 visitors per year. They can expect at least double that in one month. Temperatures in Qatar in the summer when the World Cup will be taking place average around 115 degrees Fahrenheit – over 46°C. FIFA regulations set out recommendations aimed at reducing heat risk to players, suggesting that at temperatures over 32.2°C, football should not be played for more than 30 minutes without a break. Qatar comfortably finds itself within the extreme risk category. 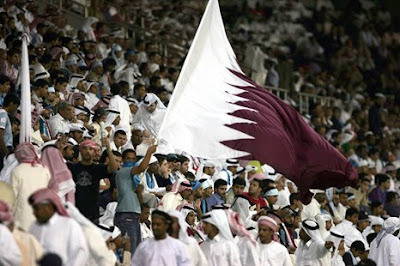 The Qatari bid has come up with the revolutionary idea of air conditioning the stadia. It uses revolutionary new technology to cool the pitch area, and to a certain extent, the spectator areas down to a temperature of around 23°C. In a test, the new system effectively achieved this, wowing the delegation from FIFA. However, it has so far only been tested on five-a-side pitches and a test 500 seat stadium. For the World Cup itself, they intend to use it on a far larger scale in multiple stadia each holding at least 40,000 people. It is vital that they are successfully able to scale up the technology. One other issue with this is wind. It would appear that if there is some wind, it creates an effect where it effectively scours out the cool air, replacing it with the hot desert air. Given that June and July averages the most wind of any months, and the strongest winds, this is something that needs sorting quickly. For many fans from throughout the world, the World Cup is a time for celebration, where they come to experience new countries and new cultures. Whether one approves or disapproves, drinking is a vital ingredient to all of this. However, in Qatar, public drunkenness or even openly displaying alcohol in public is illegal. It is unlikely that alcohol would be allowed in grounds or fan areas. Furthermore, this is a country where homosexuality is illegal and punishable by five years in prison. A UN report less than two years ago claimed that the Qatari government "does not fully comply with the minimum standards for the elimination of trafficking and is not making significant efforts to do so." Now, whilst FIFA is not a political organisation, it must surely take into account aspects such as this. However, their history hardly suggests that this even crosses their minds, given their close relationship with the likes of the Gaddafis in Libya, the oppressive regime of Ben Ali in Tunisia or their ignorance in previous incidents in the likes of Nigeria. However, for me, one of the biggest problems I have with Qatar winning the 2022 World Cup is that it is not really a footballing nation. The Qatari national football team have never qualified for a world cup. 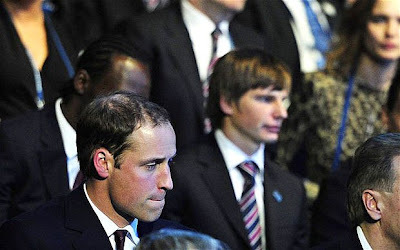 In qualifying for South Africa 2010, they were beaten by the likes of Uzbekistan and Bahrain – hardly footballing superpowers. Since then, they have suffered friendly defeats in Qatar against the likes of Haiti and Iraq, as well as defeat away from home against Kuwait. If they struggle against teams of that calibre, I shudder to think how they will cope in the World Cup itself. Similar concerns were raised about South Africa. However, they could call on the likes of Steven Pienaar, Aaron Mokoena and Kagisho Dikgacoi – all players who play in the Premiership. Qatar have only one player who even plays outside of Qatar – Hussein Yasser, who plays in Egypt. Indeed, they have only made it out of the first round of the Asian Cup once, back in 2000, when they reached the quarter-final as one of the best third placed teams, despite not winning a single match at the tournament. 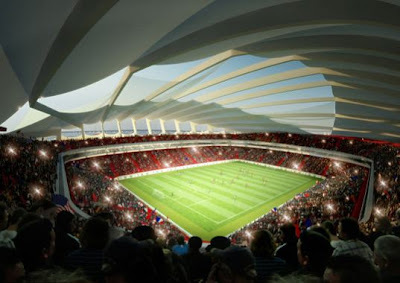 Finally, one major supposed attraction of their bid was that the stadia could be dissembled and sent to other developing countries to use there. However, given that one of the major things that FIFA supposedly look for in a bid is a lasting legacy in the host country, it seems as though Qatar fall down. How is taking down all of the stadia going to leave a lasting legacy? Indeed, are brand-new state-of-the-art stadia really going to help developing countries? Now I know this seems fairly negative. I am not of the belief that only established footballing superpowers should be given the World Cup, although they are in the best positions to hold them. The 2002 edition in South Korea and Japan was an excellent tournament, as was the 2010 edition in South Africa. However, each of these countries has qualified for world cups before. Each of them had achieved relative success on a continental level. 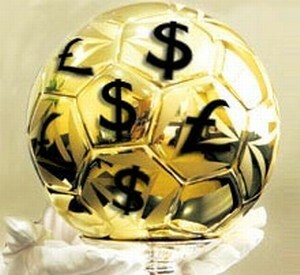 It is difficult to see past the accusation that Qatar has won it purely because of money. 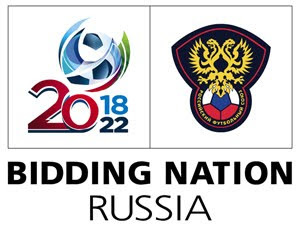 Much as I would have liked England to win the 2018 edition, I have no real problems with the Russians hosting it. They had an excellent bid throughout and I expect them to host an excellent tournament. However, the Qatar decision is simply ludicrous for me. If FIFA are determined to take the World Cup to more developing countries, then that is their decision. But take it to countries with some form of history in football. The iconic stadiums are part of what makes a World Cup. The likes of Wembley, the Nou Camp, the Maracana. Truly iconic names. Qatar will be building virtually all the stadia from scratch. Admittedly South Africa did the same. The Qatar World Cup may be an excellent tournament. I am not saying that it will be a disaster. But for me, it raises more questions about the real desires of FIFA. If FIFA are determined to take it to developing countries regardless of the qualities of any other bids, then they should at least be honest about it. Countries such as the USA, Australia and England have all spent millions on putting a serious and competitive bid together. If they have no intention of awarding it to those countries, then why give them the hope that they might. I can probably guess the reason. 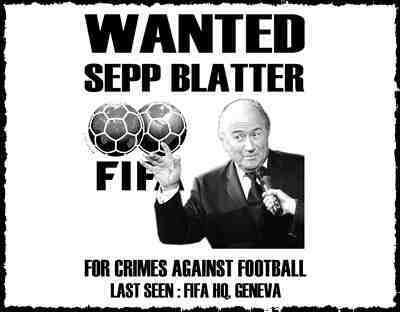 And finally, FIFA need to understand their real role in the world. Sepp Blatter has this mission where he is determined to solve global socio-economic problems by taking the World Cup and opening and developing football in new countries. He talks about how hosting the World Cup will improve the lives of poor people in developing countries. But I would pose the question to Blatter. How exactly are the poorest people benefitting? The contracts and the money flows to the governments, to the existing rich. Have the poorest people in the poorest townships in South Africa found themselves any better off as a result of hosting the World Cup? Indeed, how many people really have benefitted? I was out there for the tournament, and though it was a wonderful spectacle and occasion, a common question from the locals was what happens once everyone leaves? The brand new stadium in Cape Town is in the middle of the rich, white area of the city. The richer white people play rugby, so will not use the stadium. It is the poorer black population who play football. And they cannot afford to travel to the stadium and use it. I heard similar concerns echoed in various other cities. It was amazing while the tournament was on, but that they would be burdened with multiple stadia and facilities that would not really be used. Can poorer countries afford this for a short boost? Can they afford to make the legal changes that FIFA demand? Does a World Cup really benefit developing countries? Sepp Blatter and his executive committee can see their mission succeeding in the short term that they are around and care. But how much do they really care about the future? Blatter’s one-man crusade to solve the world of all its problems is probably good for his already over-inflated ego, but in the end, FIFA is only a football regulatory body. They cannot solve the world’s problems, and if they don’t really know what they are doing, they could hinder future development rather than helping it.